Year after year science continually proves that global climate change is real. But what does it all really mean and what can or should we do about it? Climate Change For Beginners is a clear, fluid narrative by a leading scientist and educator who takes a scrupulously balanced approach in explaining the history of global climate monitoring and change, and the whos, hows, whats, whens, wheres and whys of the interaction between human activity and recent trends in the Earth�s climate. 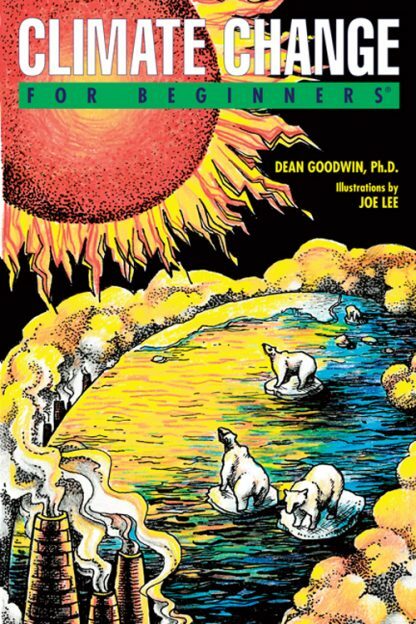 Working from the premise that no one can do everything, but everyone can do something, Dean Goodwin challenges readers with experiments they can conduct to gain a better understanding of the science underlying the problems facing our planet and concludes with a list of 50 easy actions readers can choose from to start doing their part in the effort to slow or stop global warming. Replaces previous edition, ISBN 9781934389270. Dean Goodwin, Ph.D. is a nationally recognized environmental educator with an honors degree in biochemistry, a post-graduate certificate in science education, and a PhD in mechanistic organic photochemistry. He has more than 25 years of teaching experience at both the college and secondary level, and he currently teaches at The Tatnall School, a private college preparatory school in Greenville, Delaware.